No cone of shame for me. I enjoyed reading this book. This is my first book in the Colorado Mountain series. Even though I started with this book in the series I didn’t feel lost. KA writes her novels in such a way that each book could be read as a standalone. Reece & Zara are the featured couple of JAGGED. I wasn’t a huge fan of their nicknames; Ham & Cookie. Reece wasn’t into commitment and Zara watched him walk in and out of her life over the years. Some major life situations happen that make Reece realize what he is searching for in his life. Working on gaining Zara’s trust becomes his sole purpose. 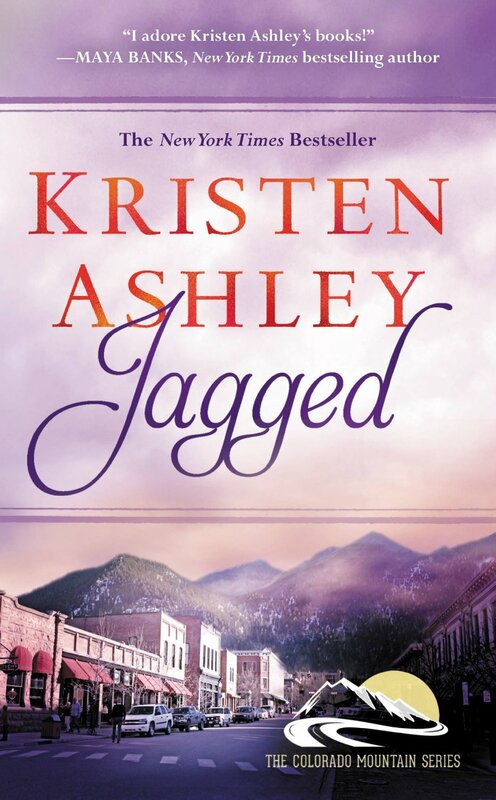 Jagged wasn’t as long as KA’s other books but it had a lot going on to keep the readers interest. Book 1 – Max & Nina | Book 2 – Tate & Lauren | Book 3 – Ty & Lexie | Book 4 – Chace & Faye | Book 5 – Reece & Zara | Book 6 – Deck & Emma | Book 7 & 8 Check here for when they will be released.